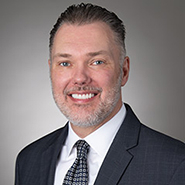 David Wiese Joins Quarles & Brady’s Business Law Group in Washington, D.C.
WASHINGTON – The national law firm of Quarles & Brady LLP today announced that David Wiese has joined the firm Business Law Group as a partner in its Washington, D.C. office. Wiese’s practice covers franchise law, advertising and marketing law, commercial contracting, and regulatory and compliance issues related to the Federal Trade Commission (FTC) and various state unfair and deceptive acts and practices statutes. Wiese focuses on sales, distribution and marketing matters with an emphasis on the transportation and retail industries. He regularly advises clients on motor vehicle dealer and franchise-related matters, including relocations, ownership changes, succession issues, open points, sales, exclusivity and site control issues, and performance improvement programs. Prior to Quarles & Brady, Wiese worked as in-house counsel for General Motors and Volkswagen Group of America, Inc., as well as a senior attorney at the FTC. He received his J.D. and M.A. from the University of Iowa, and his B.S. from the University of Illinois.